Our toilet cubicle locks are the perfect solution for those seeking concealed fit toilet cubicle door locks for doors measuring in between 20mm and 46mm in thickness. Boasting an LRV of 45 and a red and white indicator for a high contrast to assist with visual recognition of cubicle vacancy. Also featured is a stop on the turn to prevent the bolt from being forced and an emergency coin release to enable the door to be opened from the outside in the event of an emergency. This product is manufactured from grade 304 satin stainless steel for a high-quality finish and includes a passivated zinc inner fixing rose. 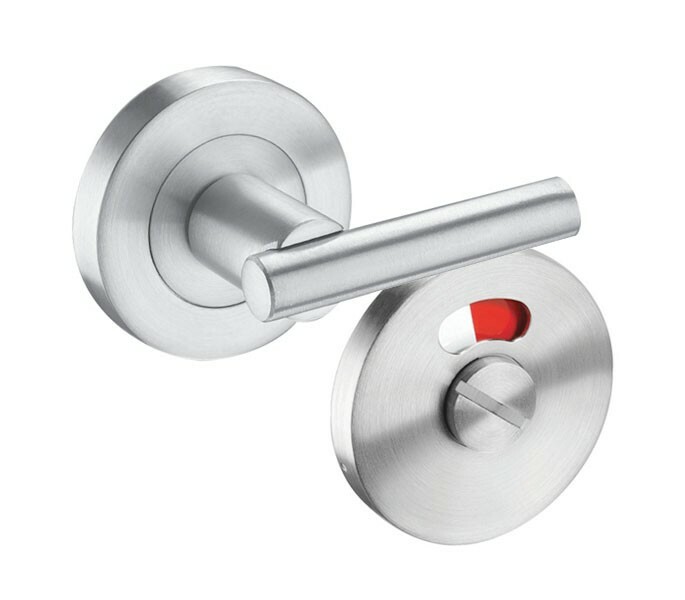 Our toilet cubicle locks are sold singly and include the turn, indicator and bolt-through fixing for a secure fit and can be fitted in conjunction with either the T209/F1 or T209/F2 bolt depending on the thickness of door. 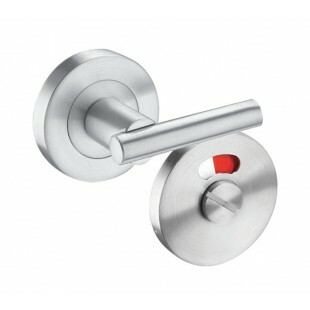 A keep is not required for the door and we reccomend the installation of a pull handle to assist with door operation.